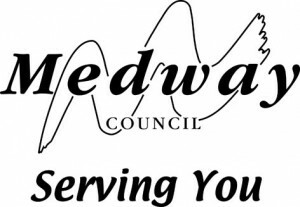 This year Medway celebrates Big Dance with not one, but two big celebration days! One on July 6th at Medway Park in Gillingham, the second on July 12th on Sun Pier in Chatham. Of course, we couldn’t miss either event and this blog post (to be updated as the events progress) will tell you all about it. Today was Big Dance at Medway Park. There was a fantastic mix of dance performances and workshops from new companies such as Vez Dance to the more experienced Loop Dance Company who were, this year, commissioned to create a new piece with Boy Blue Entertainment. We especially liked that there were dancers of all ages. From little Pop Dancers with AMG Dance to the ladies from Moving Memory Dance Company, showing that just because you look older doesn’t mean you dance like it. As well as things on the main stage there were lots of stalls. 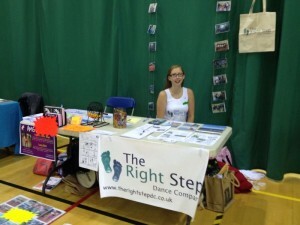 We shared The Right Step’s stall with Alix, one of the TRS Teachers, and her dance company, AMG Dance. 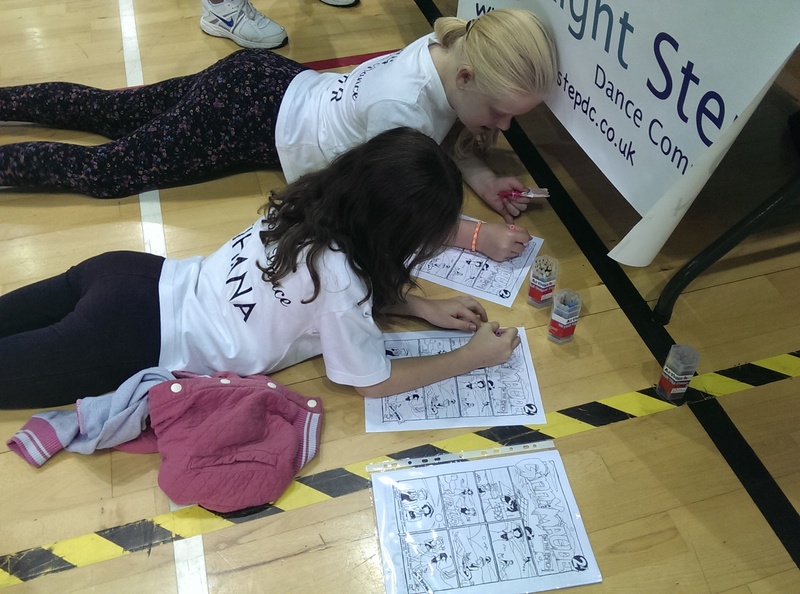 We had a great time meeting the dancers who take part in her classes in various venues in Rainham/Gillingham. The stall next to us was another TRS Teacher, Gemma Quinnell, with her dance and fitness company. Just along the way was Georgia, our Adult Dance Coordinator and TRS Teacher. Georgia manned Loop Dance Company’s stall. What a good bunch! The day was a great show of how integrated in the local dance and general community The Right Step has become in the past few years. I was proud to see so many of the TRS Teachers there as well as people we’ve worked with on various projects and in our regular work. They included Luci Napleton (organiser of the whole fantastic event) who works for Medway Council’s arts team and who also organised edna, an inspiring dance, arts and health project I was involved with last year. 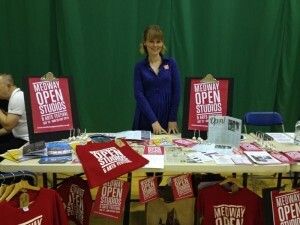 Heather Burgess from Sun Pier House had a stall all about Medway Open Studios and two artists were with her. I took a few minutes away from the stall and ‘Made a Face’ out of paper with them. Next week we will be on Sun Pier for Big Dance, right next to Sun Pier House. We are very thankful to them that we can use some space there as our Green Room, especially as Sun Pier House is playing host to Medway Open Studios at the moment! As with many of these events, we made an Auto-Awesome, a clever app that takes a random selection of photos and video footage from the day and mixes it altogether. remember, it’s random so it doesn’t always make sense, but it is a fantastic overview of the day and we hope you enjoy watching it. Can you pick out all of the TRS Teachers!